Here it is folks!! One of the biggest races of the summer and at the cheapest price!! The ampMX 2nd Annual Summer Shootout is just a few weeks away and we will once again have the option for you to pre-enter online via our website. Our pre-registration is a little different than most, where we do not charge you at that time. All you are doing is giving us your info and picking the classes you want to race. Once again, NO MONEY is collected at that time. We do this to make our lives a little easier on race day, by keeping us from having to enter every rider into trackside that morning and taking longer to have everything set to go. When you pre-enter, we are able to already have you entered in and your paperwork printed out. All you have to do is come to the window, tell us your name, sign your forms and pay your entry fees. NO waiting for a pen and filling out forms for you….making your sign up experience a little easier and quicker!! Those riders who won or finished 2nd at our SCCS race a couple of weeks ago won discount coupons for a Summer Shootout entry fee. So make sure you bring those with you next month so you get your discount!! We have some track changes in mind for this race and are nailing down sponsors as we speak, so stay tuned for more info in the coming days/weeks!! 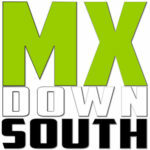 via Alabama Racing Forum – $10 off / ampMX 2011 Summer Shootout 7/16-17.